Oconomowoc has been chosen as the city to have the world premiere of the film “The Wizard of Oz.” This premiere will be Saturday of this week when this spectacular motion picture will open up a five day showing at the Strand Theatre. Here at this theatre this stupendous film of the delightful book of L. Frank Baum which was written in 1900 and which has been read by millions will be shown for the first time on any screen. The picture will be here for five days: Saturday, Sunday, Monday, Tuesday and Wednesday. Color, music, dancing, spectacular pageantry, laughs and thrills go into the filmization of the celebrated fantasy, which is one hundred percent musical and filmed in technicolor. 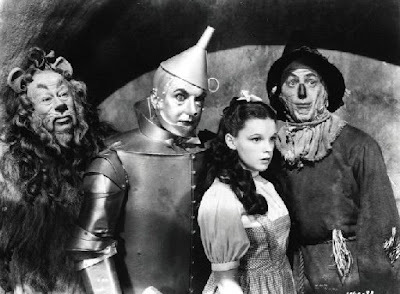 Ever since the first news came that Metro-Goldwyn-Mayer was planning to film”The Wizard of Oz,” screengoers have been wondering why it took Hollywood 39 years to discover that the story would make excellent motion picture material. The answer to these given inquiries is that it is difficult to see how this story could possibly have been made without all of the perfection in color, sound , music, etc. of 1939. I bet there are a few people in Oconomowoc today who remember, as children, being taken to the best movie they ever saw — and remembering that they were the first ones in the world to see it. Here’s to them, and to the ever-magical Land of Oz.